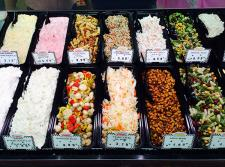 Our deli offers the best meats, cheeses & salads to satisfy your needs. Looking for a meat, cheese, vegetable or shrimp tray for your next event? Ask one of our experts today - they can help you decide what to get and how much you will need.